New Delhi, Sep 20 Bollywood music composer and singer Anand Raj Anand has composed what he calls a 'common man's tribute' to the Oct 3-14 Commonwealth Games. He will also be performing the two songs live at the opening ceremony. 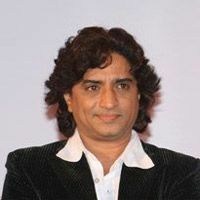 New Delhi, Sep 20 (IANS) Bollywood music composer and singer Anand Raj Anand has composed what he calls a 'common man's tribute' to the Oct 3-14 Commonwealth Games. He will also be performing the two songs live at the opening ceremony. His two songs- 'Invitation' and 'Celebration' - have a common slogan - 'Come out and play'. While the former is a 'heartwarming', the latter is aimed at being 'foot-tapping', according to Anand. 'I will be performing both these songs on the opening ceremony of Commonwealth Games. I thank the organising committee and Wizcraft Entertainment for allowing me to perform on the special occasion,' Anand told reporters at a press conference here Monday. While A.R.Rahman's anthem for CWG has been criticised for its slow pace, Anand's song has a heavy Punjabi flavour, adding a lot of energy to it. Even CWG mascot Shera performed 'Bhangra' to the tune at the event. 'I had thought that if young, college going students feel like dancing in the club on this number, it will be a big success for me. It is for them to dance on and rejoice,' he added. The idea of composing a song for the spirit of CWG struck Anand when his son asked him what the event is all about. 'I realised that children don't even know the agenda of the event. There is so much negativity about it. I feel we should balance it out with the positive aspects too. We have to celebrate the pride of being together for this event, and so I just felt like creating these songs,' he said. Two music videos will also be released for the songs Sep 24, and an audio CD will be released by Times Music.